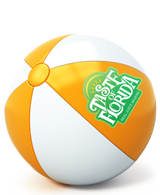 Nothing celebrates the flavors of fall better than a Taste of Florida Spiced Apple Cocktail featuring Taste of Florida Green Apple mixer. All TOF mixers are made with real fruit juice to make what you drink taste even better! Spiced rum is usually a medium-bodied rum flavored with ‘spices.’ Different brands feature different combinations of spices, but some of the most common added flavors are vanilla, cinnamon, clove, allspice, and ginger. It is possible to find spiced rums flavored with cocoa, coffee, and cayenne pepper, too! Captain Morgan is perhaps the most popular brand for spiced rum, and it has many options for you to choose from in the US and Canada: Original Spiced Rum, Black Spiced Rum, 100 Proof Spiced Rum, Lime Bite Spiced Rum, Tattoo Spiced Rum, and Silver Spiced Rum. These liquors feature a variety of rums, flavors, and proofs, but Captain Morgan rums are known for their smoothness and it’s easy to understand why they are so popular. Another well-known rum brand, Bacardi, sells only one spiced rum in the United States: Bacardi Oakheart, a “smooth spiced rum” with a “hint of smokiness.” Other quality spiced rums include The Kraken, Cruzan 9, and Sailor Jerry. Combine spiced rum, cranberry juice and Taste of Florida Green Apple in a shaker tin with ice. Shake and strain into cocktail glass. Rim with cinnamon and sugar. Contact us for more fall recipes.